Community Connection Day has become an annual event that brings together Woodburn residents and community service providers. This year Community Connection Day will not be a day-long event, but will be held in conjunction with Woodburn Recreation and Parks' summer barbecue that starts at 5:30 p.m. Friday in Centennial Park. 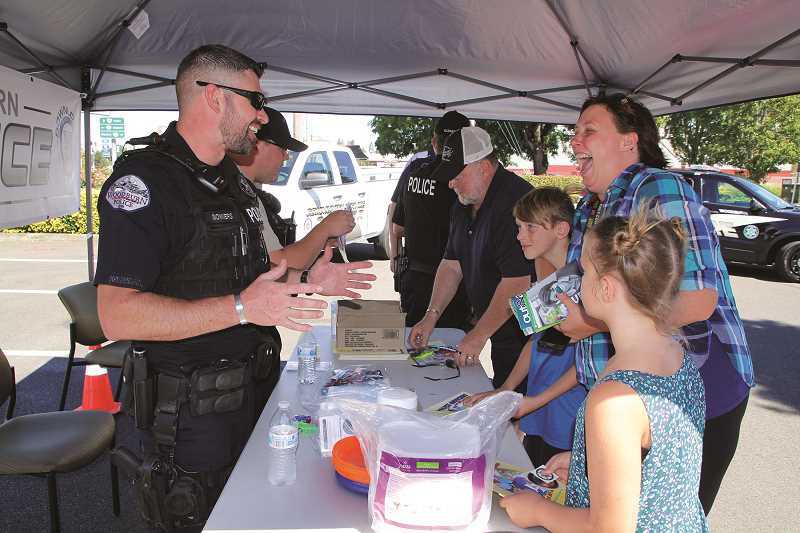 Community Connection is an opportunity for kids and adults in Woodburn to meet and connect with officers from the police and fire departments. This year the event includes representatives from Salem Health and an area trash disposal company, among many others. Kids will have the opportunity to sit inside police cruisers, fire trucks and dump trucks and see how they work, while their parents can meet the men and women who work to serve the community. Community Connection was formerly organized in partnership with Safeway and held in the Safeway parking lot, but this year has partnered with Woodburn Proud and the City of Woodburn. Organizer Ewart Brown said it was originally intended to counter negative attitudes felt by youth in the community about police. "There is a perception that police are just here to arrest and lock people up; we wanted to change that impression," Brown said. Community Connection provides a non-challenging space where kids and adults can interact with the police and see their humanity, Brown said. The event was expanded after its first year to include firefighters and other service providers that people don't usually know about, even Mayor Kathy Figley. "A majority of people have no idea who their mayor is," Brown said. "So it's a chance for people to come together and see who provides them with services, and say thank you." The event wraps up the week of free barbecues at different parks throughout the city, having started Monday at Burlingham Park and also including Heritage Park on Tuesday, Legion Park on Wednesday and Nelson Park on Thursday. This annual beginning-of-summer celebration offers free hot dogs and games at local neighborhood parks.